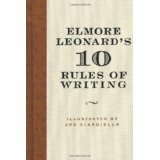 Elmore Leonard’s 10 Rules of Writing is exactly 1,055 words long. I know that because I’ve just finished copying it into a Word document. It took me about thirty minutes. I first heard about it from a writer friend. I also read about it in Stephen King’s On Writing so I decided to buy it. When I looked it up on Amazon though I saw it only had a 3-star rating. Most reviewers complained about it being way too short. Some even called it useless, generic advice. The average rating made me change my mind. I decided to borrow the book from the library instead of buying it. I’m glad I did. The book is not useless. It takes a lot of reading and writing to get to the point where you can condense valuable advice in ten clear rules. But most people who buy this book expect a little more than ten rules. They want examples. Tips. A miniature Elmore Leonard who pops out of the book, reads your manuscript, and tells you how to make it better. OK, maybe not the miniature Elmore, but definitely the examples and tips. And that’s not what you’ll find in 10 Rules. Nonetheless, I still found it to be a good, valuable read. The low ratings come not from what’s inside but from how much is inside. When you buy a book you expect … a book, not a short article. Even if it’s a very well written short article. As I said, I’m glad I only borrowed the book. I’m a minimalist and I buy very few things. 10 Rules would have taken up too much of my shelf space relative to how much information it provides. Copying it on my computer was just an exercise. Something I did because I was stuck in my regular writing and because I was curious to see exactly how long the book was. When I want to re-read 10 Rules, I’ll order it from the library again. It only costs twenty-five cents to put it on hold and I can return it the following day. Best solution for the minimalist, cheapskate in me. Before I end, here are three quotes from the book. 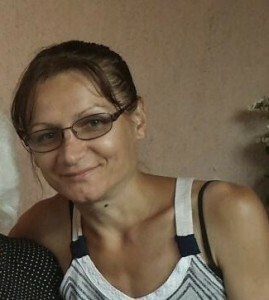 As you can imagine, I have to keep them very short. Otherwise I would be quoting the entire book. These are rules I’ve picked up along the way to help me remain invisible when I’m writing a book, to help me show rather than tell what’s taking place in the story. If it sounds like writing, I rewrite it. […] It’s my attempt to remain invisible, not distract the reader form the story with obvious writing. I hope you enjoyed. After all, you just finished reading half a book.